This is a common problems with scm template 2 ppt powerpoint presentation professional influencers. This is a five stage process. The stages in this process are poor delivery status information, poor it design, internal customer discrimination, poor integration, elusive inventory costs. 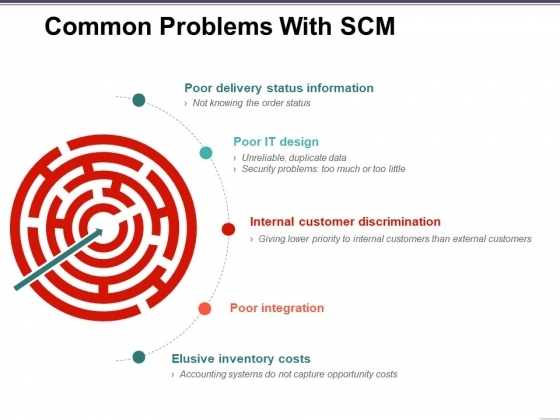 Influence decision makers with our Common Problems With Scm Template 2 Ppt PowerPoint Presentation Professional Influencers. Make sure your presentation gets the attention it deserves.